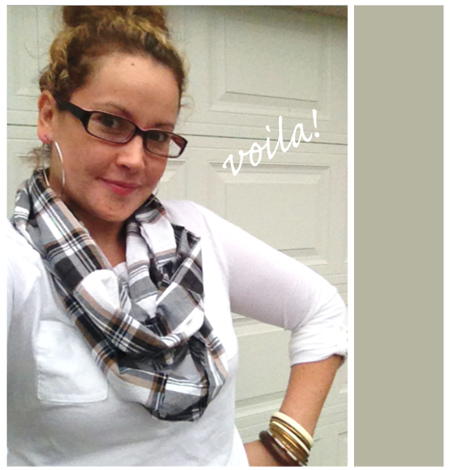 This is the easiest scarf you’ll ever make in your life! My hubby was generous enough to donate an old shirt of his for this project. 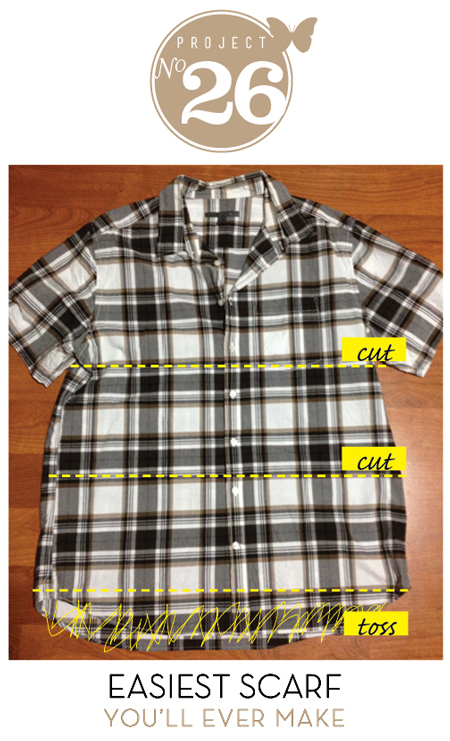 All you do is use the bottom half of the shirt and cut 2 sections out of the bottom. I also trimmed the bottom of the shirt because it was curved. After that you just button the 2 halves together and wrap! I’m thinking I might just put a couple of stitches on the seams for good measure. It’s the perfect little light-weight scarf. I got several compliments on this little gem and now we’re cleaning closets to find more potential scarves. I’m searching for some heavier flannel shirts to do winter ones. Or! I could use flannel pajamas! Now I’m thinking!